Why Choose a Luxury Spa Holiday? Holidays whether long short, far or near are significant moments in our lives where we take a break from the everyday hassles of life. I’m not just saying this as someone who works in the travel industry, although I do have a passion for travel, holidays are some of the precious moments in life where we can drop our everyday routines, and focus on ourselves and our companions. Recently my Mother and I treated ourselves to a spa day and it made a wonder of difference. In this comfortable, tranquil environment we were pampered, happy and relaxed. This got me thinking, if one day seemed enough to relax me, imagine if I could have more than one day! Luxury Spa breaks whether one, three, seven, fourteen or however many nights, are the ultimate in relaxing and rejuvenating your mind, body and soul. Wherever you choose to travel spas are luxurious, safe and blissful places where you are the focus of attention of the staff and yourself. It is not often in the busy world of today that we take time to step back, take a breath and make time for ME. Most notably with holidays breaking us out of the norm it puts a wonderful perspective on our lives ‘back-home’. I for one know that when I am on holiday and I think back on my life in Britain, I have a far different outlook with my mind open to the wonders of the destination I am visiting. Thus, take time on your holiday to mentally relax yourself and give your body, young or old, time to be pampered. Many luxury hotels whether small or large will more often than not, have their own spa or health and well-being facilities for you to use. Many offer a range of treatments from beauty including, manicures and pedicures, to massages, scrubs, wraps and different forms of therapy. Most will also allow you book your treatments in advance or locally so you can be sure to relax as soon as you step through the hotel’s doors. The exceptional five-star gran luxe Gran Hotel Atlantis Bahia Real in Fuerteventura is not only an outstanding hotel, but currently boasts the best spa on the island and arguably, the Canaries‘. 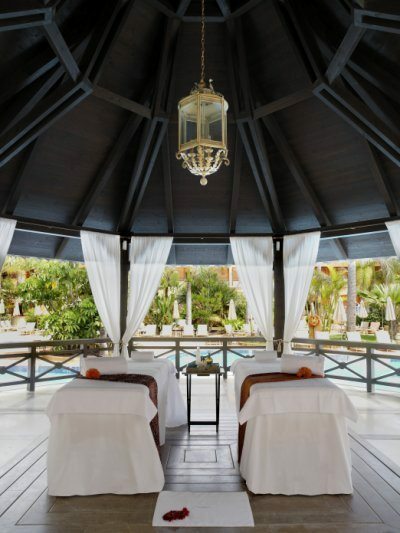 The Bahia Vital Spa has an extensive range of treatments and facilities. The spa’s most notable feature is Salus per Aquam which translates to ‘The Wonders of Water’ and is one of the most important features of the Bahia Vital’s Spa concept, emphasising the therapeutic benefits of water. The sunlit indoor leisure pool is heated to 32°C to offer a relaxing degree of comfort. This area also boasts an excellent hydrotherapy circuit with hydro jets, spa jets, whirlpool, waterbeds, massage seats, cold plunge pool and ice fountain. There is a Finnish sauna with chromotherapy – which uses coloured lights to balance energy where you are lacking in it. For further enjoyment there is a spectacular solarium allowing you to find peace in the warmth of the sun’s rays. The wonderful range of massage and therapy treatments will relax your body and mind leaving you rejuvenated and content. Signature treatments include a Luxury Rasulbath (45 minutes, €60) which is an oriental cleansing ritual which takes place in the steam-room with a therapist or, try the “Wellness” massage which uses volcanic hot stones (50 minutes, €90). Other massages include Hindu head and face massage (25 minutes, €55), Hawaiian massage (50 minutes, €90) or an anti-stress massage (50 minutes, €90). For those looking for special therapies there is reflexology, deep tissue therapy and physiotherapy. Please note prices are subject to change. 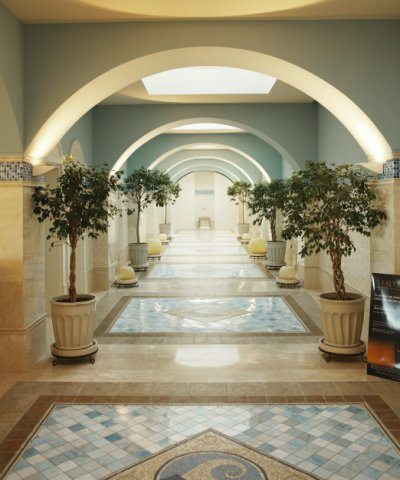 If you truly wish to indulge and give your body the pampering it deserves the hotel offers a range of rituals including, Marc Anthony and Queen of Egypt which are luxury aromatherapy treatments for him and her (115 minutes, €150). The treatments listed above are a mere sample of the Bahia Vital Spa offering. If you are looking to stay or keep fit on your luxury spa holiday then the hotel offers a state-of-the-art gym, with a variety of equipment for cardio and weight training. 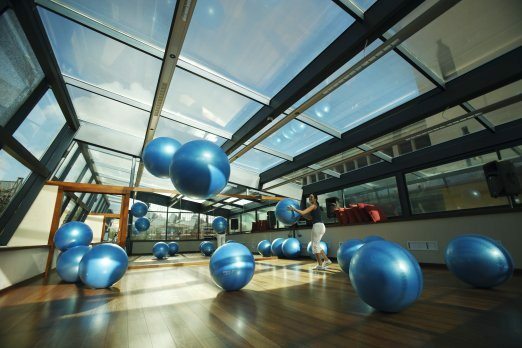 There are also classes including, yoga, Pilates and cardio for those wishing to partake. On hand are the Bahia Vital Gym’s excellent professional fitness instructors who offer expert advice, support and personal training sessions. I may be getting ahead of myself but I’m feeling a little more relaxed already and for spa holidays, this hotel ticks every box. Whatever hotel you choose and wherever you go, a luxury spa break is the best way to reboot your body and mind leaving you feeling fresh, healthy and ready for the world. Please note: prices are correct at time of publish.